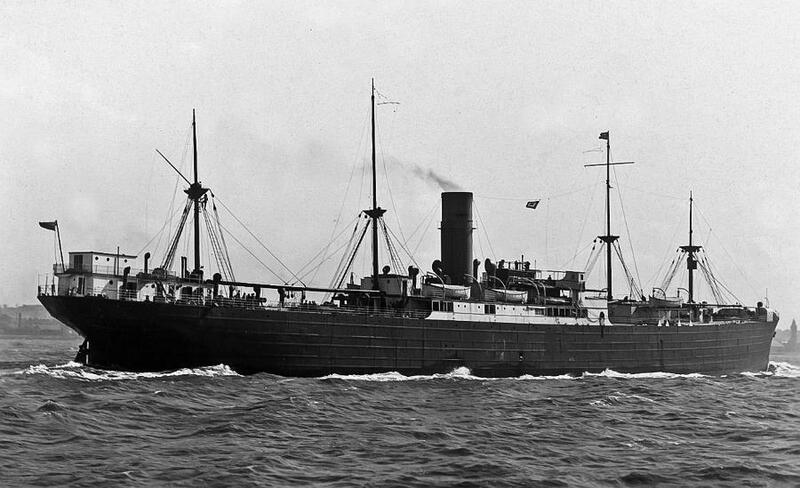 The s.s. “Ayrshire,” which belongs to the Shire Line, of London, was built in October, 1903, at the yards of Messrs Hawthorne and Leslie, at Newcastle-on-Tyne. Her gross register is 8,000 tons, and her loaded weight 11,300 tons; length 480 feet, beam fifty-nine feet, and depth of hold thirty-five feet. The “Ayrshire” is a twin-screw vessel of 5,500 horse-power, and her maximum speed is 14.2 knots an hour. Her usual rate of speed, however, is twelve knots, and to attain that she works at about 4,500 indicated horse-power, and consumes from seventy-two to seventy-five tons of coal per day. Her permanent bunkers will hold 2,000 tons, but she can carry about 800 tons in excess of that quantity. Her insulating chambers are capable of containing 130,000 average New Zealand sheep carcases, and space is reserved for about 500 tons of chilled meat. There are also four chambers for cheese. Her refrigerating plant combines the Linde-Ammonia system, together with brine and cold air. 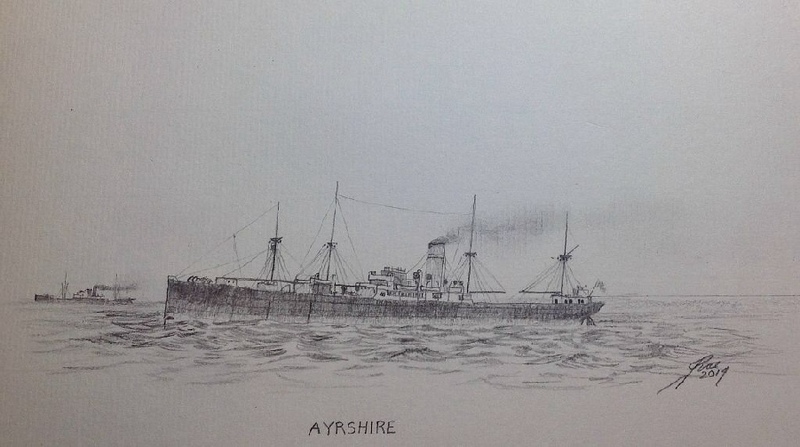 The “Ayrshire” carries about thirty saloon passengers, and 150 in the steerage, and has a crew of eighty-six members, including the captain, four officers, and eight engineers. Leased by the Commonwealth until 9 January 1918. 21 December 1914 embarked 7th Light Horse Regiment Headquarters, "A" and "B" Squadrons at Sydney. The 7th Light Horse Regiment sailed to Egypt and disembarked on 1 February 1915. 1 September 1915 embarked Medical Officers at Sydney. 3 July 1916 embarked Medical Officers at Melbourne. 24 January 1917 embarked Medical Officers at Sydney. 15 September 1917 embarked Medical Officers at Sydney. Scottish Shire Line was taken over by the Clan Line in 1918. Abandoned on fire in the Indian Ocean, crew taken on board steamers AENEAS and CITY OF NAGPUR. She was eventually sunk as a danger to shipping by HMS LUPIN .